This story celebrates generations of lovely ladies. 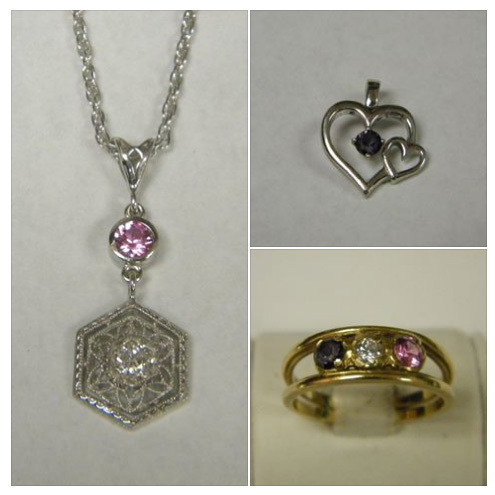 A young woman was left her paternal grandmother's mother's ring with three stones; the grandmother's original diamond in the center and the birthstones of her two children, one this young woman's father and the other her aunt. We created a double heart pendant with her aunt's birthstone, February, and a stunning filigree white gold pendant with the diamond and the remaining birthstone of her Dad, October. Now this one piece is worn by two generations of ladies. Enjoy!